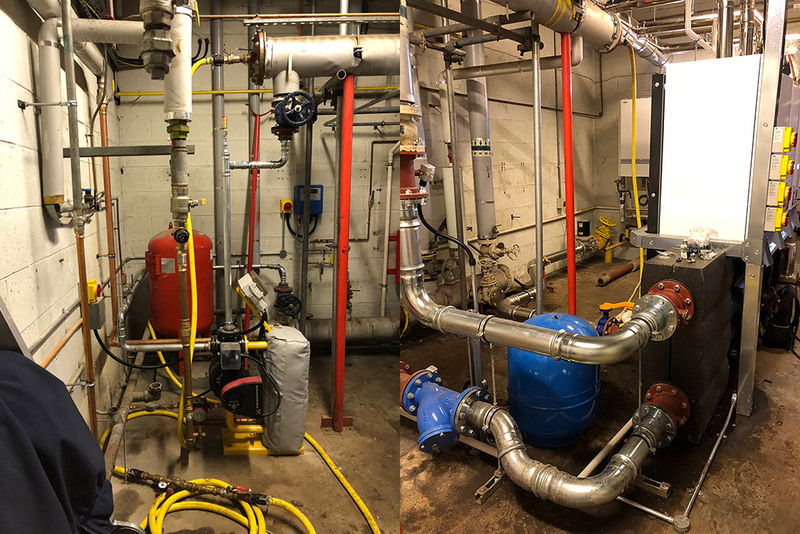 This Plant Room upgrade in Midsomer Norton required the removal of an old floor standing shell and tube boiler, which was fitted with a still-functional Nu-Way burner. We also removed a gas fired Andrews water heater and Stockvis Domestic hot water plate exchanger. 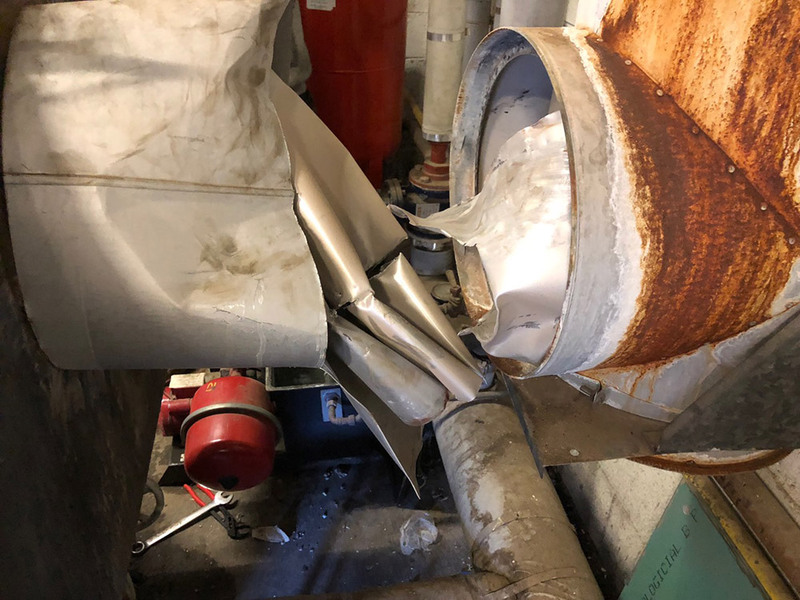 As you can see from the pictures below, it is extremely important to inspect flues during services as the inner wall of the flue had completely collapsed and was blocking the flue way. 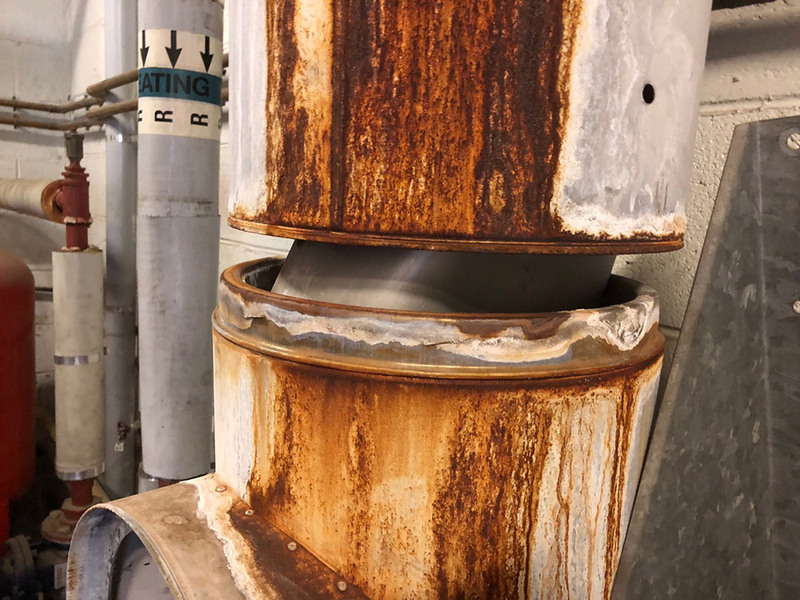 These appliances served a Leisure Centre so we had to maintain services for the duration of the project. 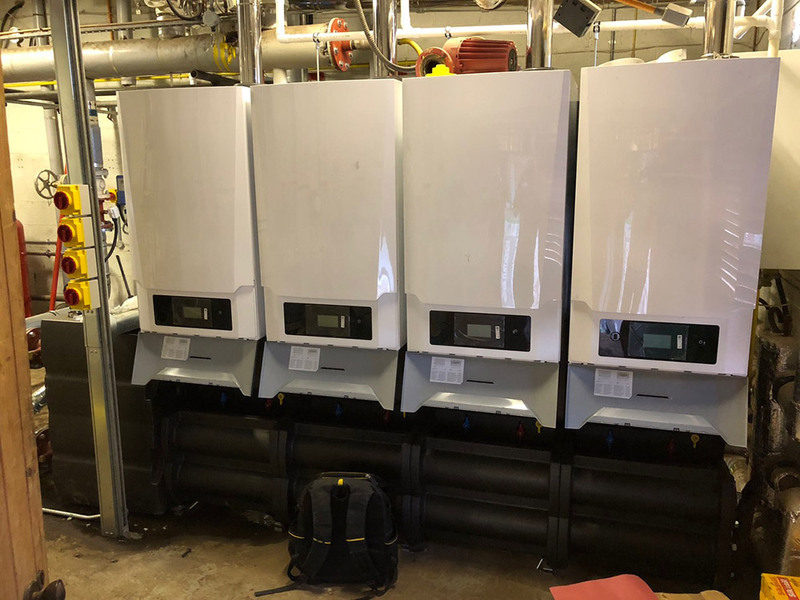 We fitted 4no Remeha boilers complete with frames, a low loss header and mixing pot, which then goes out to feed the system. The low temperature hot water system (LTHW) was installed in Geberit Low carbon steel Mapress and the gas was fitted in Stainless Steel. 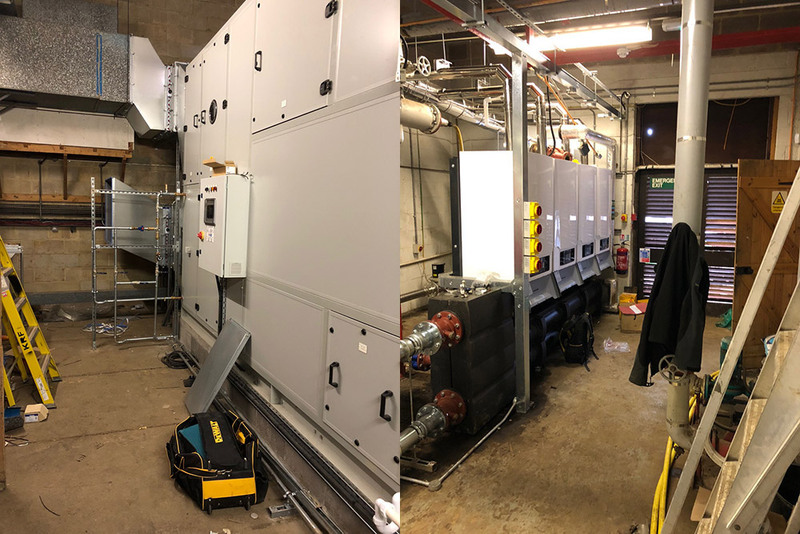 We also had to pipe up the new air handling unit which was replaced as the previous model had no heat recovery option.  Overall, this project was completed punctually with minimal ‘down time’ to the centre, which will soon see the benefits of a more energy efficient system.